Get instant approval with easy car finance. To apply for a personal loan is not the easiest thing to do, especially when your credit history is poor. Often banks and other financial institutions become doubtful of the applicant, especially when it is for a vehicle (which we all know could be a large sum of money). 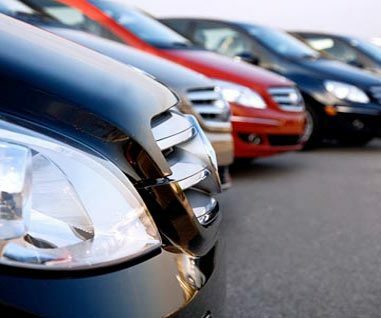 Thankfully, there is a car finance company which is willing to assist you all the way through the process, from instant approvals to vehicle selection and after sales support. Earn-a-car in Gauteng guarantees that if an applicant can meet their basic requirements, they will be able to drive around in their new car in as little as an hour. When considering getting a car, the last thing you want to do is fill in reams of paper and then play the waiting game. At Earn-a-car, our efficient online approval system means we can examine your financial status in no time, leaving you with the only worry of deciding which car to get from our wide range of excellent pre-owned vehicles. Conveniently created, Earn-a-car uses an online system which means you can apply from the comfort of your own home, without physically going into a building, meeting with anyone, or filling in a plethora of forms. The process is fairly simple. All you need to do is click on the answers for 10 “yes and no” questions which will determine whether or not your application will be approved and then drive away in as little as an hour if your application is successful. Never has it been easier to get instant approval for vehicle finance. Do not hesitate, contact us today or visit our website to view the instant approval application system.